Before They Were Stars: Born to Mary Lee Mapother South and late electrical engineer Thomas Cruise Mapother III, Tom had a tumultuous childhood, growing up in near poverty and moving frequently. 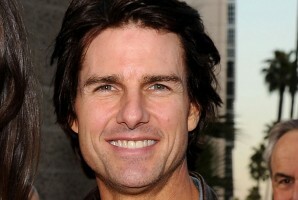 A spiritual child, Cruise contemplated religious life before settling on an acting career. In 1980, he skipped his high school graduation to move to New York and pursue acting. By 1981, he had booked supporting roles in the films Endless Love and Taps, and a few years later he sealed his status in cinema history with Risky Business and Top Gun. Where Are They Now: Since Risky Business put him on the map in the 80s, Cruise has continued to headline multiple blockbuster movies, including the Mission Impossible series with the newest addition, Mission Impossible: Ghost Protocol. Snakkle Snippet: Music runs in the family: While Cruise is testing his pipes as a rock star in Rock of Ages, his son is jamming as a DJ. Snakkle Buy: Catch up on the Mission Impossible series on Blu-Ray before the latest edition hits theaters.